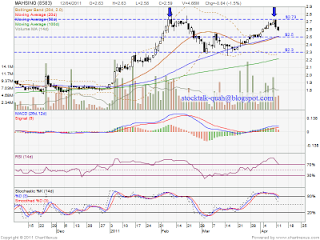 MAHSING have been retrace down from RM2.73 high till RM2.59 level. Next support should be RM2.50 & RM2.30 level. 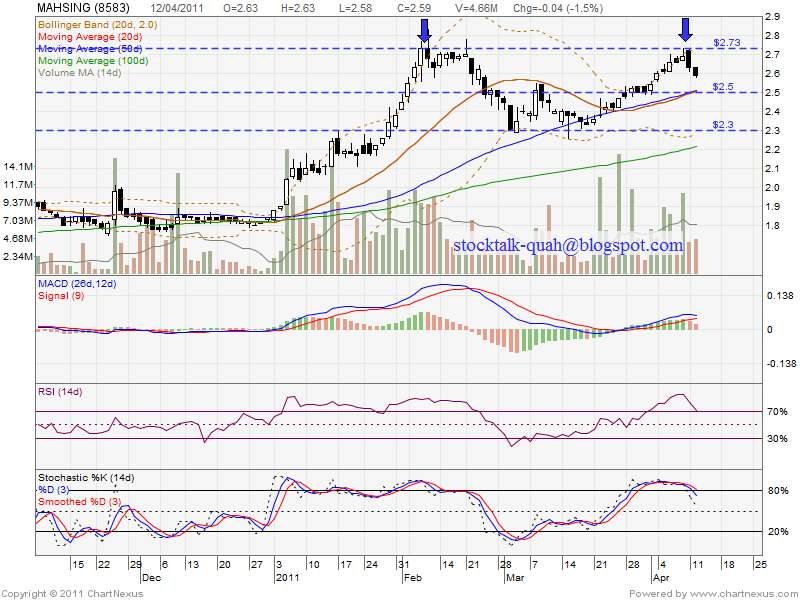 However, if rebound up, next resistant would be the level, which is RM2.73 level. If able break up this level, it will create new high record. Indicator Stochastic &K not yet trigger any buy call. Remark: Pls buy at your own risk & consult your broker b4 make any buy or sell order!! !